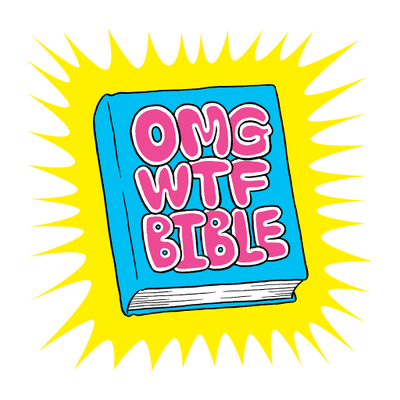 OMGWTFBIBLE is a brand-new English translation of the Hebrew bible (that’s the Old Testament for all you Jesus lovers out there) from the story of creation all the way to whatever happens in Divrei HaYamim. A monthly podcast, OMGWTFBIBLE reframes everyone’s favorite holy book as the world’s oldest comedy serial, recorded live somewhere in New York City once a month whenever we can get space. Episodes are released online a week later.